This $5 million purchase is the second investment the firm has made in a secondary market in Texas. San Diego, CA January 12, 2017 — REIG Asset Management completed the purchase of a two property portfolio in Wichita Falls, TX from Drini Management Services, LLC in a transaction valued at $5 million. The acquisition signals the San Diego-based real estate investment firm’s continued targeted expansion across the U.S. The investment, Stone Ridge Community, includes two adjacent apartment communities on approximately 6.7 acres with 23 two-story buildings, totaling 230 units. The properties, built in 1963 and 1972, are in an excellent location with easy access to downtown Wichita Falls, Midwestern State University and Sheppard Air Force Base. Wichita Falls is said to be one of the Top 10 markets for rental properties in the U.S. and is ranked 6th in the nation for best cost of living. Being home to the Sheppard Air Force and having a local economy driven by oil production and farming are both factors contributing to this market’s desirability. The limited supply of C-class properties in the Wichita Falls apartment market and significant deferred maintenance on-site at Stone Ridge Community produced the perfect value-add opportunity for REIG Asset Management. REIG Asset Management intends to complete the capital improvement projects required to drive the asset towards stabilization. Within the renovation plans, valued at $1.6 million, Stone Ridge Community will be given a complete exterior overhaul including: wood replacement and fascia improvement, new exterior paint, and architectural adaptation to serve contemporary tastes. To capitalize on the demand for well-located affordable housing, REIG Asset Management will also implement a number of operational improvements at the property. 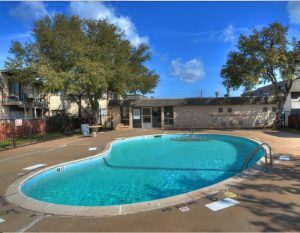 The company has now purchased three apartment communities in Texas’ secondary markets with intentions to grow its opportunistic acquisition strategy in the region. REIG is a multifaceted real estate firm in San Diego, CA. REIG Companies is comprised of three parts: a single family investment company, a multifamily construction company, and REIG Asset Management, a private multifamily investment company. REIG Asset Management specializes in the acquisition and management of value-add multifamily properties in select secondary markets across the U.S. REIG is rooted in its purpose statement: “To bring renewal and hope to the lives and communities we touch.” For more information on REIG Asset Management, visit www.reigam.com.